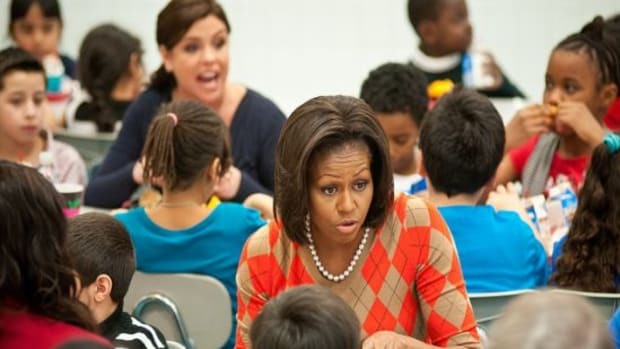 While efforts are underway in states like California to improve school lunches by banning unhealthy processed meats and adding vegan options to the menus, the Trump administration is undoing the work of the Healthy, Hunger-Free Kids Act implemented in 2010 by former First Lady Michelle Obama. At least, temporarily, says the USDA. The Obama regulations required schools to begin to include whole grains, more fresh fruits and vegetables, and cut down the sodium, sugar, and fat content of foods. The program intends to not only offer kids healthier food on a daily basis, but to also help change their eating habits overall. Many schools were also planting edible gardens that took things even further, helping kids to understand and enjoy the process of growing healthy foods and preparing them. 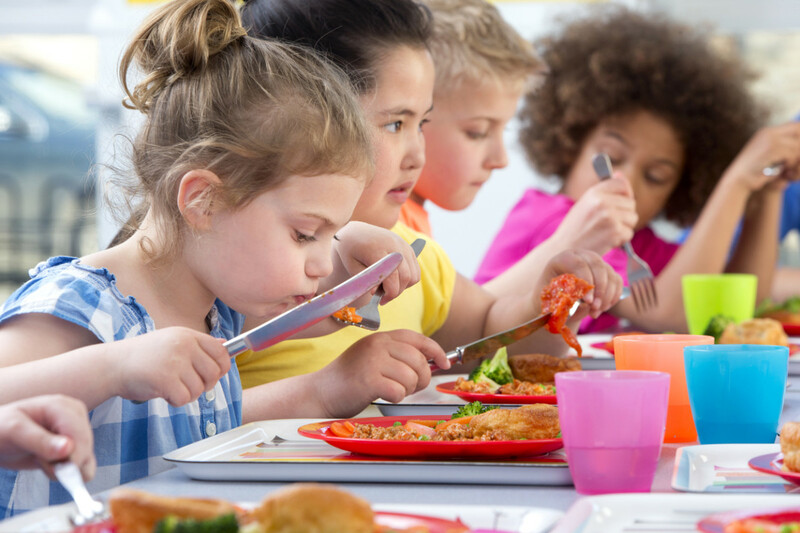 But according to new USDA Secretary Sonny Purdue, the program needs retooling because of reports that many kids aren’t embracing the healthier menus. 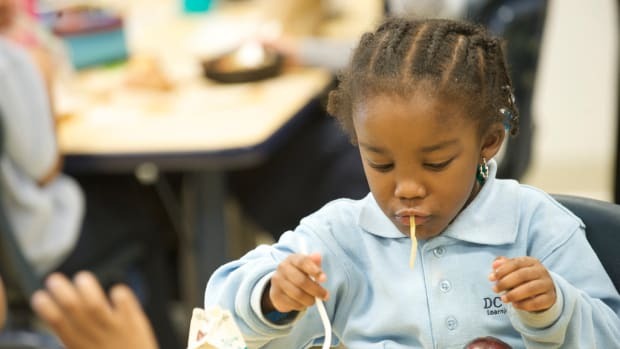 "If kids aren&apos;t eating the food, and it&apos;s ending up in the trash, they aren&apos;t getting any nutrition,” he said on a recent elementary school visit in Leesburg, Virginia. That’s a contentious position though as research shows kids are actually eating the lunches – and enjoying them. 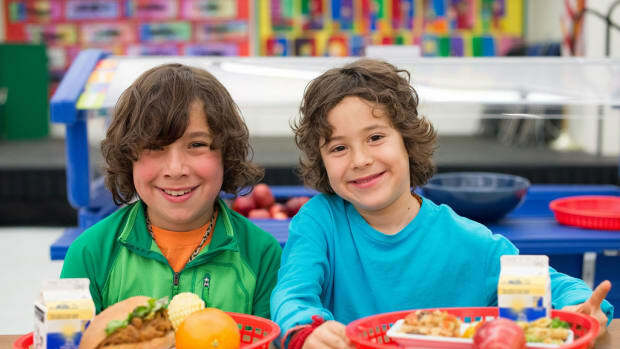 A 2014 study published in the journal Childhood Obesity found that 70 percent of kids preferred the healthier meals than the typical school lunches served before the Healthy, Hunger-Free Kids Act. 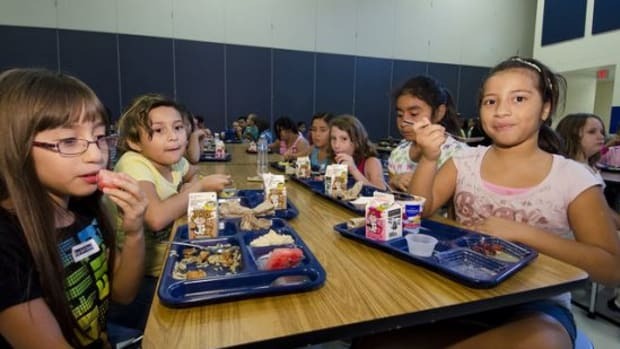 The study polled more than 500 schools and found that the incidences of uneaten meals or portions of the meals were down overall, particularly in schools where free or reduced-price meals were most common. 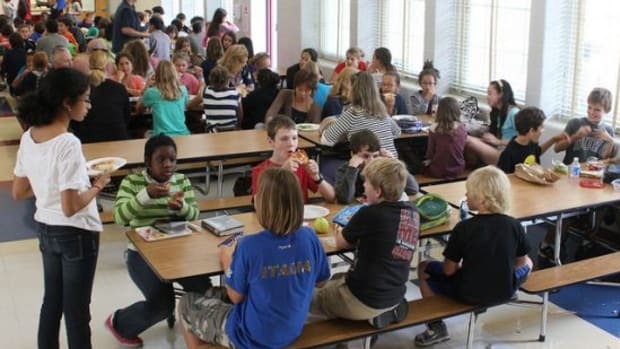 The updated USDA guidelines are said to be temporary while the agency looks at redefining the nation’s school lunch program. 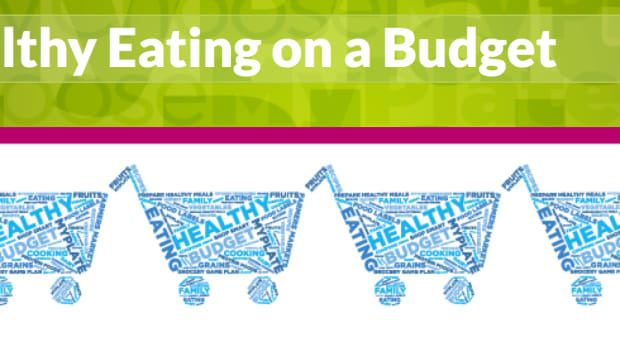 Currently, they will allow states to up the sodium content in foods to make the menus more appealing to children as opposed to rules put in place by the Healthy, Hunger-Free Kids Act that required schools to take steps to lower the sodium content over time. The USDA is also reversing rules on flavored milks, and exempting schools who claim to be challenged to find suitable whole grain foods.